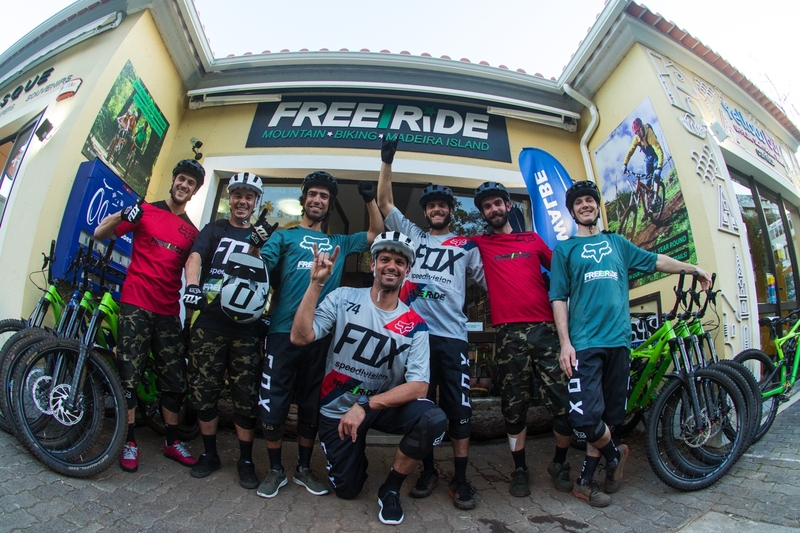 Great news arrived to the Freeride Madeira office a couple days ago with the confirmation that Fox Head Europe, a brand that is known in the business as a global leader in the Action Sports world. 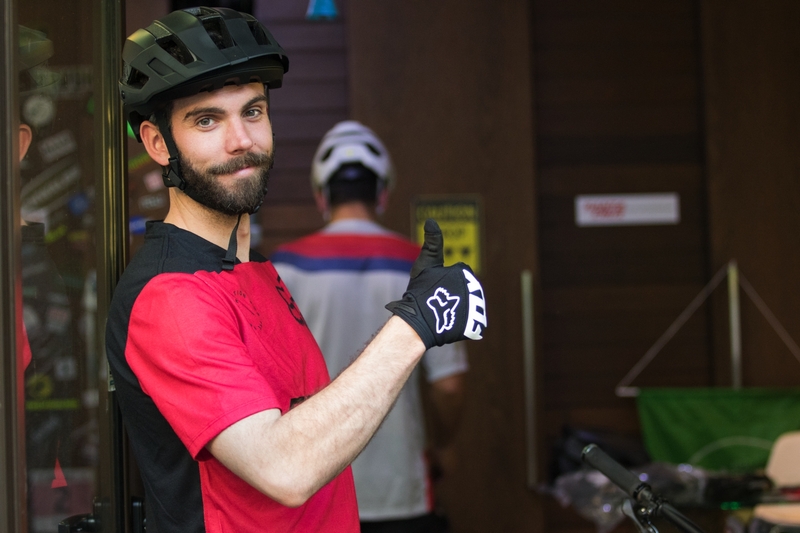 With a wide range of high-quality products, Fox innovation keeps pushing the boundaries of the sport but most of all offering safety and protection to riders all around the world. 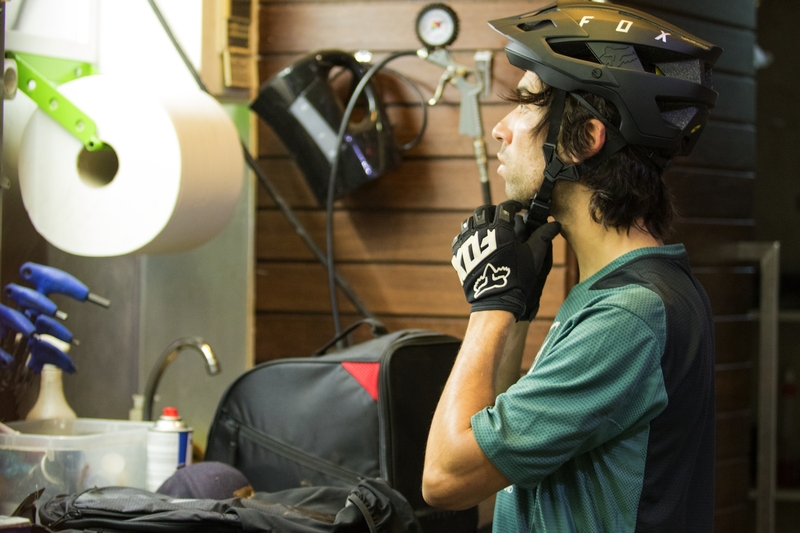 From guards to helmets, jerseys and shorts, gloves and backpacks, the simple but effective design make Fox a brand that everyone dreams of working with. 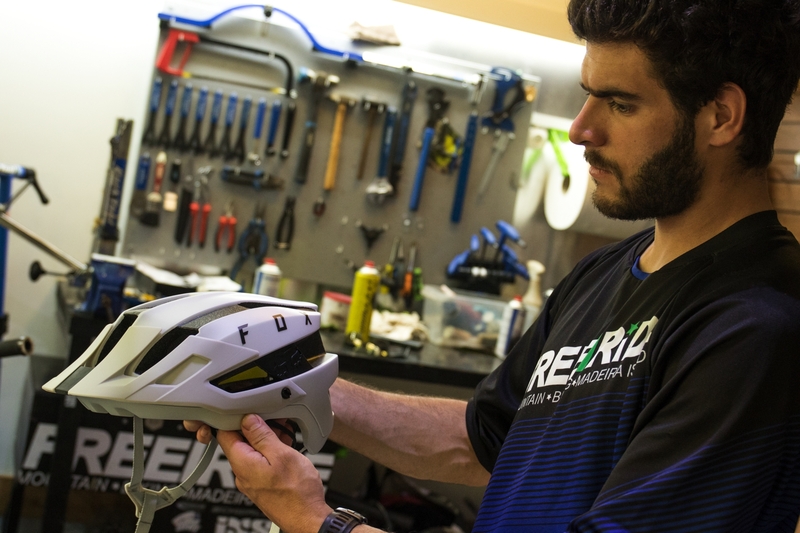 "Having our whole team representing Fox racing is for sure an honor for us considering they have been since ever a high end brand. 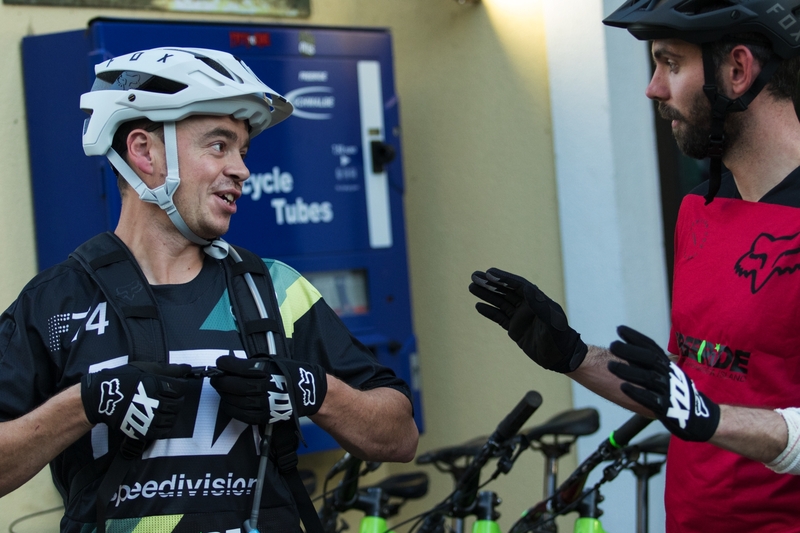 Loïc Bruni/ DH World Champion represents them in between over amazing Athletes, so it is overwhelming to see that they realize that trail builders and guides are also really important for the industry! A big thank you to Fox!" 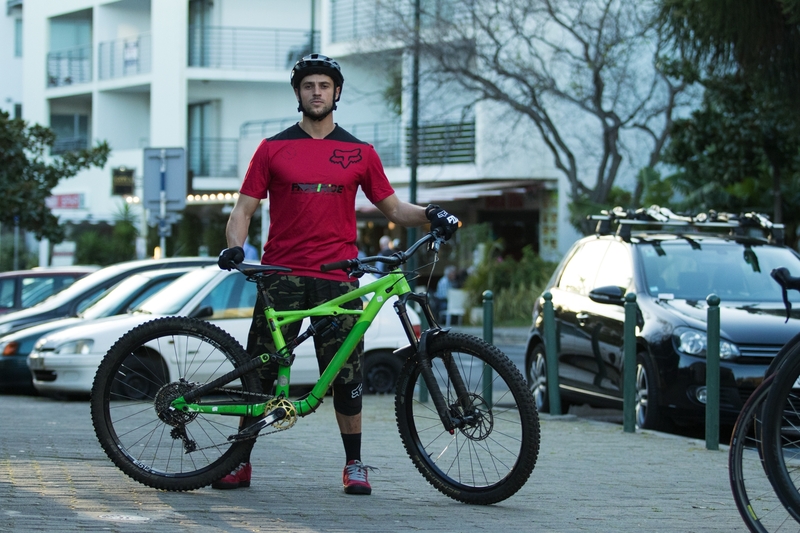 said John Fernandes, one of Freeride Madeira's founders. 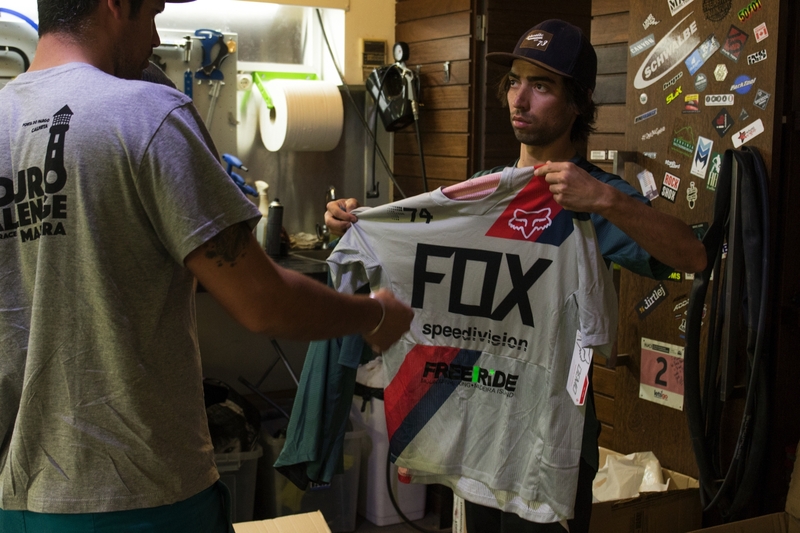 Rui Sousa, one of Freeride Madeira's guide, looking at his new Fox Flux. Full range of products arrived to make sure all guides and trail building crew are ready for another season! It was like Christmas time in Freeride Madeira! 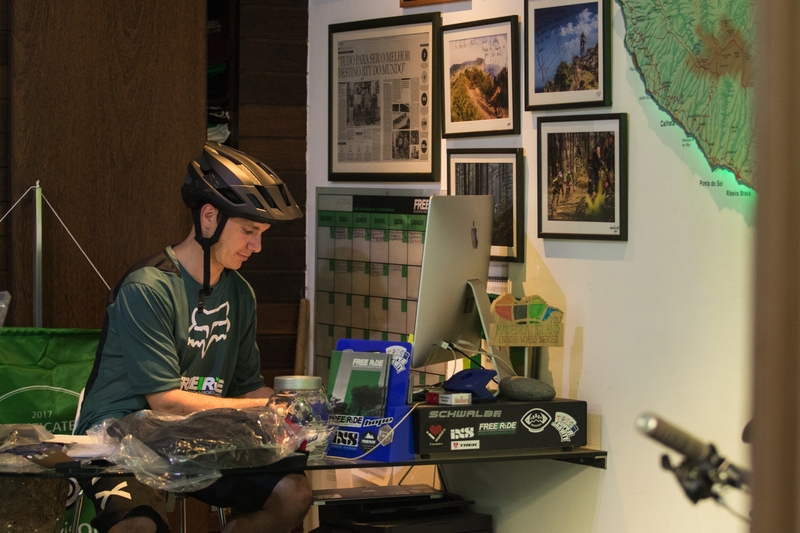 Filipe Caldeira, Freeride Madeira founder and currently in the office answering emails on a daily basis, already protected for the job ahead! Iconic Madeira trail builder, Alexandre Gouveia, got a new kit as well! John Fernandes was the person that made all this happen for the crew! Nuno Quintal, Freeride Madeira guide, ready for action with Flux helmet, Launch Pro D3O knee guards, Indicator jersey, Sergeant Camo shorts and Dirtpaw Race gloves! 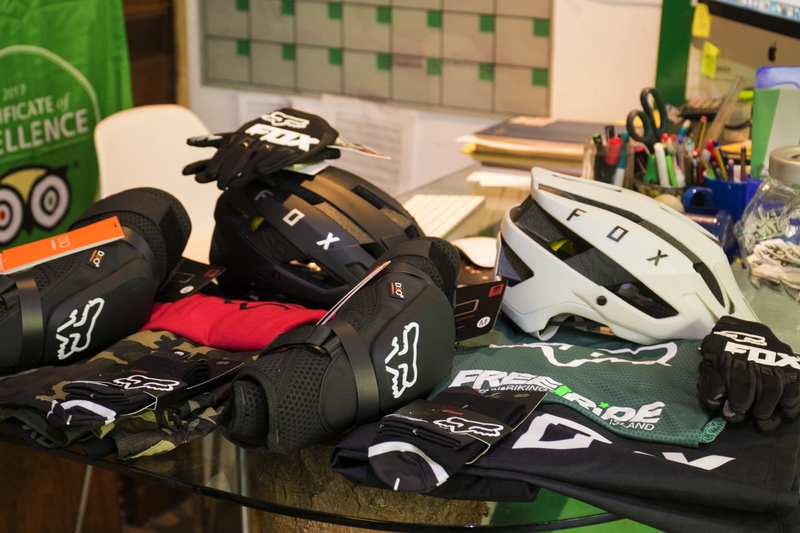 "All our rental gear will also be Fox in the future - knee pads, helmets and gloves. It's a gold partnership and we can't wait to start riding with it!" 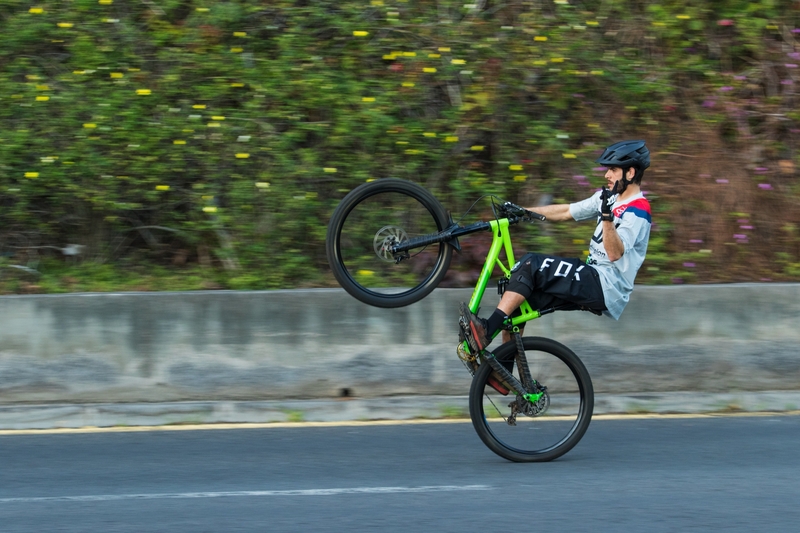 said John Fernandes, one of Freeride Madeira's founders. 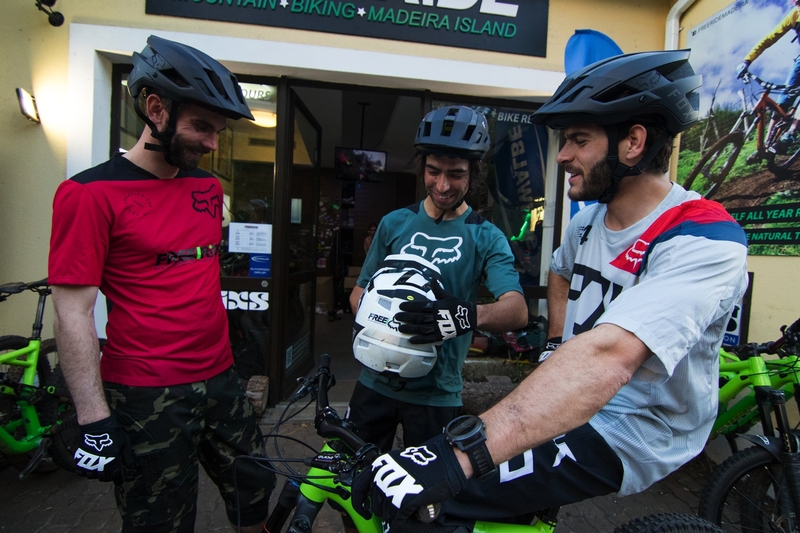 Rui Sousa testing the new gear right in front of Freeride Madeira store! Find out more about Fox Racing in their website, www.foxracing.com. All photos by Antonio Abreu.